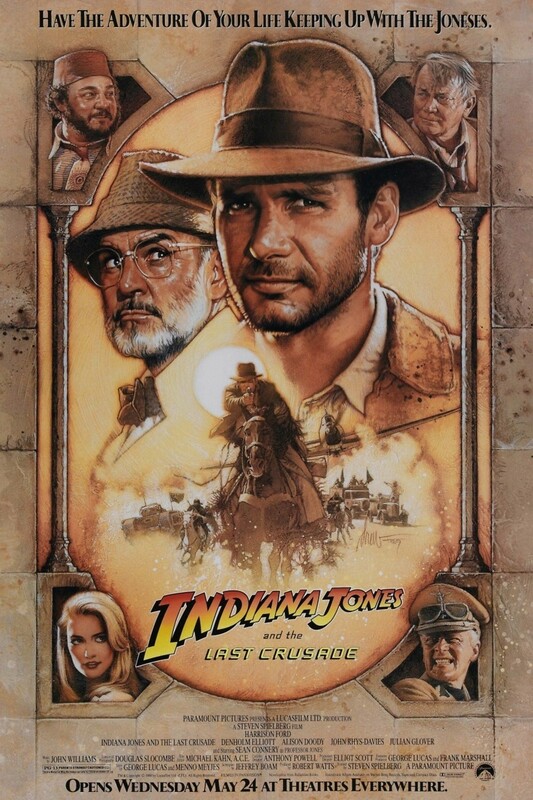 An art collector asks Indiana Jones to look at part of an ancient tablet, which gives a clue to the location of the Holy Grail. Jones soon discovers that his father, who is also searching out the Grail, has vanished. Using his father’s journal, Jones unravels further clues to the Grail’s whereabouts, and in the process finds his father, who is being held by the Nazis. The father-son duo reluctantly team up to try and find the Holy Grail before the Third Reich. In the process they must battle Nazi agents, the unscrupulous art collector and a fanatical cult charged with protecting the Grail at all costs. The younger Jones ultimately faces his toughest test just with his final goal within reach.